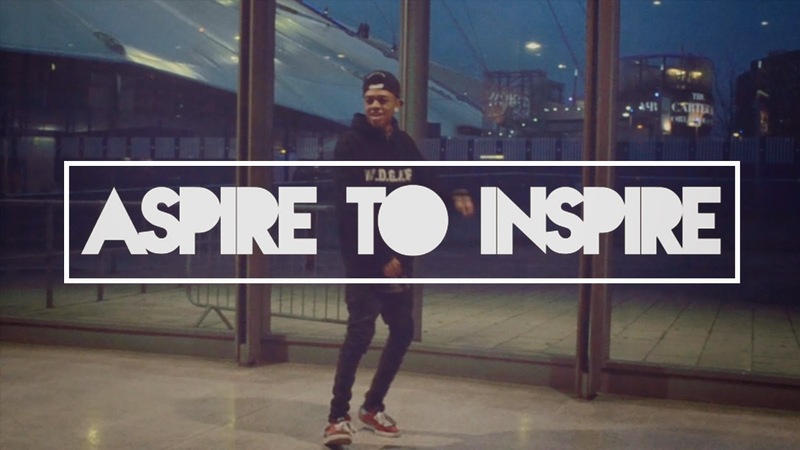 So today I wanted to share with you the first dance video in my series Aspire To Inspire. I am so happy with how this turned out. The first dance freestyle for the ATI series is with none other than you-tuber 'Mazzi Maz' who is incredibly talented in many things. When I arranged this with Mazzi Maz, I didn't just want to do an interview, I wanted to share with you one of his many talents. So Thank You Mazzi Maz for coming down to do an interview, dance freestyle and for taking part in my series! Originally I was having copyright issues, so I have re uploaded the video now so everyone is able to view it. The Interview I did with Mazzi Maz for Aspire To Inspire will be up next Friday, I am looking forward for you all to see that. I hope you are all enjoying my series so far, and I just want to let you know that I am working on many exciting new things at the moment, and I am trying to fit in the re-design and launch of my new website, which I will let you know more about soon. Thank you for your continued support and love, my blog is growing every week! So today I bring you another guest post. If you are going on holiday, or just looking to purchase a new wardrobe for spring/summer then this is for you. We may be edging towards spring, slowly but surely, but that doesn’t mean we don’t have jobs to do. It’d be lovely to enjoy some annual leave, to have the liberty of enjoying the weather and some leisure time, but unfortunately for most of us, we have work commitments and responsibilities! Don’t get disheartened though – you can still put a spring in your step by dressing in some new clobber for your days at work, bringing some style, fashion and a fresh outlook into your office. Brighten up your day with some of these great work outfits for the spring and summer season 2014, no matter what work environment you are in. Is there ever a bad time for dresses? Donning a dress is a sure-fire way of looking and feeling great, and, as the weather warms up, there’s no need for chunky cable-knit tights anymore either! Depending on the type of industry you work in, you may need to stick to the tailored dress suit, or if you’re lucky and you have a little more freedom about what you can wear, something a little more casual may suffice. Take a look at George’s range of dresses, regardless of the style you are looking for, and you’ll be sure to find something to suit. If you work in a more casual environment, a simple jersey-style dress would be ideal for a cooler day, while a simple wrap dress or floral prints are bang on trend this season too – perfect for when the sun has its hat on! A simple A-line pencil skirt will always be a timeless garment for the office, and springtime is no different. Brighten up your outfit with a bold and bright blouse and complementing court shoes, to make a little more of a statement. Alternatively, accessorise to the max with some statement beads and a simple tunic top if you would prefer to stay a little more conservative. Perfect to cover your arms on a chillier day, blazers aren’t just for the utmost in formality anymore. A blazer in black, or navy blue, that is fitted to complement your body shape, is an incredibly versatile piece of clothing that would look just as fabulous with a skirt, over a dress, a pair of trousers or even a pair of skinny jeans. The great thing about trousers is they go with everything. Add a pair of high heels for a killer look, or a pair of court shoes for something a little less vertigo-inducing. Team with a tunic top, or blouse, for an effortless work outfit that would be ideal for the office. Who are we kidding? Just because it’s springtime doesn’t mean it’s going to be warm! A cashmere sweater is a perfect addition to a work outfit for the chillier days – not only looking smart and stylish, but keeping you warm too! Top up your working wardrobe this spring and refresh your clothes a little. It may be work and not play, but you can still look and feel fabulous at the same time! So on Sunday the 16th March, I attended East London born singer/songwriter Mike Hough's sold out headline show in Camden, at the famous london venue 'The Jazz Cafe'. For an Independent artist to break boundaries and sell out such an iconic venue, this can only be the start of something truly special and what a night it was to witness! From the start of the show to the very end, the night was all about talent, energy, fun and having a good time. The evening was filled with incredible vocals, talented musicians, and all round good music.The crowd eagerly anticipated the arrival of Mike Hough on stage and counted down along with the projected video which was displayed before his arrival. Prior to the gig starting, fans travelled from all over the UK, and queued at least six hour's before the gig started that day, to catch a glimpse of the singer up close. Inspiration and energy filled the venue throughout the night, as Mike Hough's interaction with the fans evolved through out the evening. From singing old classics such as 'Hero' from the very start of his career, to new song's such as 'Dumb' which is one of the songs that was co-written with fellow songwriter JB Gill former member of JLS. Mike's stage presence shone more then ever before upon the stage where he performed and the connection between him, his band, and the fans lifted the venue and brought something even more incredible to the atmosphere. Once coming off the stage the crowd continued to chant for Mike to come back on and do more as they were not ready to leave. This in itself showed how much his fan's enjoyed the show. Overall, Mike's headlining show was full of soul, vibes and energy! From fully rocking out to MJ's 'Rock With You' in an 80's/90's medley which also included other song's such as 'Ain't Nobody'. To then asking the venue to be silent so Mike could break it down and acoustically sing one his newest originals 'Lost In Love' which you can watch above. I really enjoyed the show and this gig left me very inspired, motivated, and even more driven, to continue working hard to achieve and succeed in my dreams... just as he is doing! So today I am going to share with you a little update into what I have been up to in term's of my career. So for the last week I am pleased to tell you that I have been on working on a new Lyric Video which is now up on artist 'Jordan Morris' youtube channel. You can watch the lyric video on Jordan Morris's channel here! 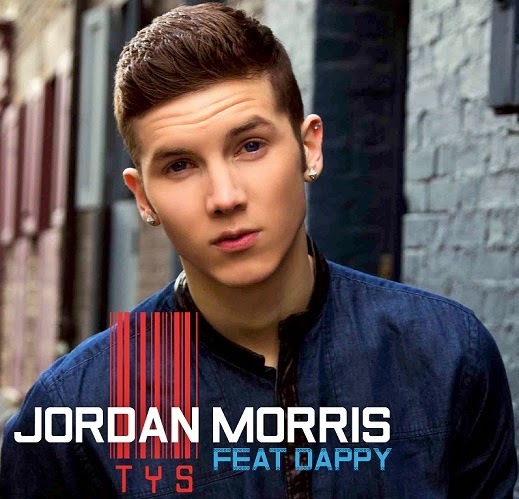 It was a pleasure to work on Jordan Morris's single 'Taking Your Side' featuring 'Dappy', I really enjoyed working on this song and it has been great to see it rise through the charts so far, since its release on Monday. I really believe Jordan Morris will be a name to watch out for this year as he has a lot of talent to share with the world. So today I wanted to share with you the first interview in my series Aspire To Inspire. This first Interview for the ATI series is with You-tuber 'Sam King',from the channel 'Sam King FTW'. I would like to say Thank You to Sam for coming down to do the interview and take part in the series. You can watch the interview below. In my blog post a little while back, I discussed some of the thing's I wanted to achieve this year, and one of these was being able to Interview and expand into the Youtube community. I am so happy to of been able to do this and to continue to break boundaries. I think youtube is a great platform for people to express their ideas, creativity and a great way to met like minded people. I hope you are all enjoying my series so far, and I just want to let you know that I am working on many exciting new things at the moment and cannot wait to share them with you in the next few months. Thank you again for all your support, and for following my blog and helping my reach 100 followers! So here it is the fourth consecutive video of my series Aspire To Inspire. I was asked by artist Luke Towler to come down and record his set at Westfield for the series, it was an awesome experience and I hope to work with Luke again in the near future, he is very talented! I will be uploading a few more video's of his set in the next few week's! There will also be interviews coming to the series as well as more acoustic video's and live show's/performances. I just wanted to let you guys know that this is the last consecutive week for my ATI and I would like to say Thank You to those who have supported, taken part in the series, and helped me out. The support is really appreciated!